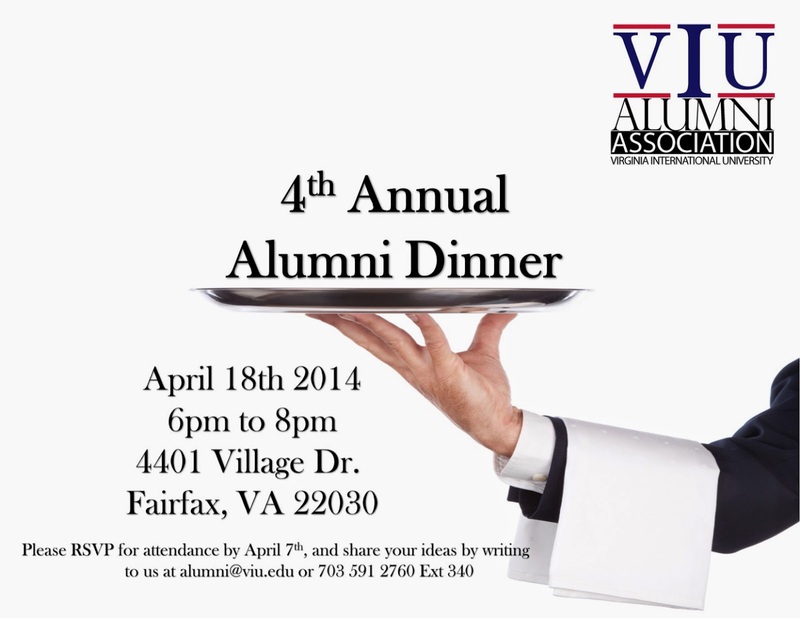 We would like to invite you to the 4th Annual Alumni Dinner on April 18th, 2014 from 6 pm to 8 pm. The event will be held in our new campus building. We look forward to see you at the Alumni Dinner. Please RSVP by April 7, 2014.